The Transformers Alternators line has proven a huge success, far exceeding its original plan and winning many fans. But as cool as the cars are, there's a part of the line we're missing out on. Turns out these aren't just random vehicles that happen to turn into robots - included in the instruction booklets with the Japanese version of the toys is an ongoing story that firmly cements the toys into the Transformers' history. And we miss out? Blasphemy! The Transformers' story - the relevant part, at least - really begins about 10 million years ago, when a race of aliens known as the Quintessons converted an entire planet into a factory to build robots: one set to do work and one set to engage in war. The robots eventually revolted against their creators, culminating of a golden age that lasted nearly one million years. The second Great War, which began eight million years ago, was fought between the two sets of robots - the workers were now known as Auobots, while the warriors had become Decepticons. That's what we see in The War Within comics. After four million years of fighting, Optimus Prime left Cybertron with a handful of Autobot soldiers, searching for a new energy source, but they were pursued by Megatron and his forces. During a pitched battle, the Transformers' ship, the Ark, crashed on an uninhabited planet and all aboard were damaged to the point that their higher systems shut down. The ship was then buried by a volcano. 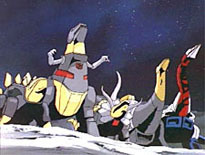 In 1984, seismic activity uncovered the ship and the main computer set about reactivating the robots, scanning the planet's native technology to give the Transformers new bodies. With no clue of what had been happening on Cybertron for the past four million years, the Autobots and Decepticons picked up their war right where they left off, fighting in secret among the inhabitants of Earth. So that's the backstory of the tv show. 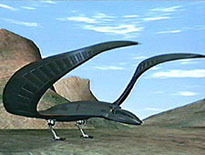 After the second season, Transformers: the Movie premiered, jumping the story forward to the far-off, distant future of 2005, and the tv show followed suit. So that leaves a pretty big gap of unexplored time right in the middle of the story, and that's where the Binaltech booklets come in. The booklets are written by Hirofumi Ichikawa, a huge Transformers fan with a seemingly encyclopedic knowledge of TF lore. the original idea was to simply fill the gap between tv series and movie; with the continued success of the line, however, things have changed, and we're now in an alternate timeline, though it's entirely possible that will somehow be undone later in the story. The stories are written with only a few upcoming releases in mind, so just because a certain Transformer is mentioned in the story, it doesn't mean there are plans for him to become an Alternator down the line. Sometimes production schedules have shifted, so hints dropped in one chapter may become meaningless as releases are postponed. 2003 A.D.- More than 10 years have passed since the first contact between Transformers and humans,1 and the world's situation has changed drastically: with the groundbreaking for Autobot City,2 the establishment of the Earth Defense Command3 and the first steps of mankind into outer space,4 humans and Autobots have formed a tight community bound by a common destiny. Meanwhile, Decepticon operatives on Earth, using the metallic pathogen "Cosmic Rust,"5 have caused irreparable damage to countless Autobots. At the same time, Megatron launched a war of conquest on Cybertron, aiming to wipe out the outnumbered Autobot resistance forces. Almost all the Autobots have left Earth to provide reinforcements. Having lost the edge in defensive strength, cut off from all support, and faced with an absolute crisis, the EDC reached an emergency decision to initiate the Binaltech Project, a plan they'd been considering for some time. 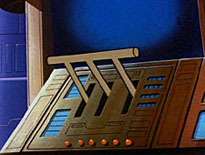 Under the supervision of the Autobots' mother computer, Teletran I,6 car companies and research facilities around the world began to develop new bodies for the Transformers. The wounded Autobots' personalities were transferred into the Earth-made bodies, powered by electro-cells,7 and they are reborn as new man-made mechanical lifeforms. And so were created the warriors who will be the hope of humans and Autobots alike: the Binaltech Transformers! 6: From Season 1 & 2; the term "mother computer" comes from the show bible. 7: From Season 2's "Traitor"
10: From Season 2's "The Girl Who Loved Powerglide"
Working together, the Binaltech Autobots and the EDC drove the remaining Decepticons off the planet and out of the solar system. In full retreat, the wounded Decepticons split into small factions and hid on various planets, making repairs and awaiting the chance to strike back. 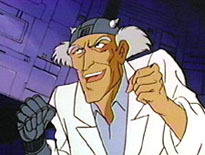 Meanwhile, on Earth, the evil scientist Dr. Arkeville12 was determined to break the Earth/Autobot alliance, and formed a secret organization dedicated to destroying the Binaltech project - the symbol of the alliance. 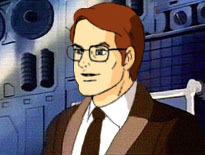 Arkeville's organization came to the attention of Starscream, the Decepticons' leader on Earth, who suggested cooperation to achieve their similar goals. And so a dark alliance, one built on mistrust and sinister intent, was born. 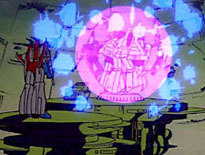 12: From Season 1's "The Ultimate Doom"
Combining Dr. Archeville's "Hypno-Chip" with the Insecticon Bombshell's cerebro shells,13 an advanced brainwashing technology was created. With it, they were able to secretly take control of various scientific institutions and industrial centers worldwide, and to convert several EDC personnel into spies. Now they had the ability to use the Binaltech to rebuild the injured Decepticons, making them just as powerful as their Autobot foes. 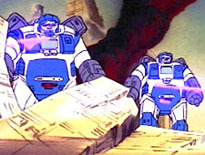 13: The G1 tech specs said Bombshell could turn enemies into allies by injecting these into their heads. His appearance at this point in the story does not mean he was intended for the toy line. And these people, unaware that they were living under the control of the Decepticons' dark alliance and were helping to resurrect their enemies, were about to face one of their worst fears: Binaltech, once the hope of mankind, had become its greatest crisis. 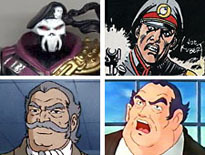 14: From Season 2's "Trans-Europe Express"
15: From Season 2's "Megatron's Master Plan"
16: Swindle's G1 bio painted him as an accomplished hustler and con man. 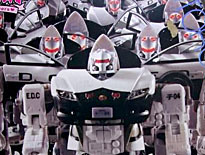 In order to counter the threat posed by the Decepticons' infiltration of the Binaltech project, the Autobots and the EDC quickly launched several counteroffensives. First, they deleted the registration for the hijacked Binaltech bodies, so the Decepticons didn't have access to the electro-cell recharge facilities,17 forcing the Decepticons to rely on Dr. Arkeville's stabilized exponential generators.18 The second was the Geotrontic Translink (GT) project initiated by the EDC's Advanced Technologies Development Bureau and overseen by Chip Chase.19 In order to allow one Autobot to control several Binaltech bodies at once,20 the GT system involved storing the Autobot's laser core21 in subspace and transmitting it to the individual robot units. 17: From Season 2's "Attack of the Autobots"
18: From Season 1's "Countdown to Extinction"
21: First mentioned in Season 1's "Divide and Conquer," the laser core is what gives Transformers life; in subsequent series, it was known as their "Spark"
Fearing that the news of the Decepticon infiltration would spark paranoia and distrust and destroy the alliance, "Operation: Carwash," an all-out intelligence op, was begun. 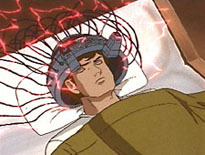 Although Jazz had not been affected by the Cosmic Rust, he volunteered to have his brain secretly transferred into a new Binaltech body at Mazda's concept lab in Hiroshima, and adopted the alias of Meister.22 At the same time, a team of expert intelligence agents, led by EDC agent D.R. Faireborn23 began their own undercover investigation. Faireborn traced the leak to the Lunar Colony, where he uncovered Arkeville's evil organization, now called the Concurrence. The members included terrorists like Count von Rani24 and Gen. Garrison Kreiger,25 and was financed by Lord Chumley26 and Shawn Berger Jr.27 Faireborn found that there were no real traitors in the EDC, just innocent victims of brainwashing. 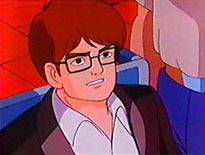 He sent a message to Ultra Magnus, the Autobots' commander on Earth, then had to flee before he was caught. He signed off by telling his family28 that he'd be spending a bit more time on the moon. 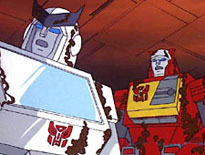 26: From Season 2's "Prime Target"
27: From Season 2's "Megatron's Master Plan"
Meanwhile, on Cybertron, the war between the Autobots and Decepticons continued to rage. In an effort to tip the scales in their favor, the Decepticons used an unadvanced race of telepathic aliens known as Unleashers29 to launch a psychic attack. The attack was intended to cripple the Autobots' main military advantage - the brute strength of the Dinobots - by turning all Primitives30 into uncontrollable savages. The Dinobots began to attack their comrades, tearing through the troops until the Autobots were forced destroy the Dinobots themselves. 30: From Season 3's "Call of the Primitives"
34: From Beast Wars Season 2's "The Agenda"
36: Note the special irony of finding a somewhat alive version of a dead "cat" in an item called Schrodinger's Box. 37: Ravage died in "The Agenda"
39: Introduced in Beast Wars Season 1's "The Spark"
Despite all the precautions and failsafes Triple-I had built into the body, Ravage overcame them and freed himself. Finding the world unchanged from the one he remembered, he realized the plan to change Earth's history during the ancient Beast Wars had failed. He immediately disposed of all evidence that he had been resurrected - including the scientists who had performed the deed. Knowing what the future holds for the Decepticons, Ravage is now out to alter his history by influencing our future. 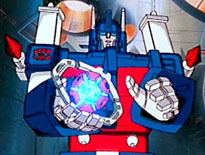 47: The G1 toy had flip-out weapons for an "attack mode"
The Autobots on Earth, led by Ultra Magnus, managed to repel frequent Decepticon attacks and continued to send any spare energy reserves to their comrades on Cybertron. But soon, a series of unnatural coincidences began to plague the Autobots. Defenses were destroyed, energy rerouted, and finally, a shuttle filled with Energon cubes48 bound for Cybertron exploded on the launch pad. These incidents were, in reality, the result of Ravage's chronal sabotage. However, Overdrive had experience with interdimensional travel49 using the Quantum Dial,50 and recognized the "reality flux" he felt at the site of the shuttle explosion. He warned the Earth/Cybertron alliance that someone from outside the normal time stream was twisting the original history. 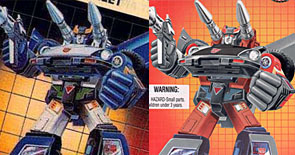 49: The ads for the mail-order Omnibots encouraged fans to order quickly, or else they would "fight a war in another universe"
While the Alliance searched for a way to fight an enemy who had the ultimate advantage, Ravage continued his plan. Hijacking Wheeljack's shuttle on its way back to Cybertron, he landed in the ruins of the Decepticon territory and retrieved the wreckage of Shockwave's kronosphere.51 Just as Megatron was about to force the Autobots into a full retreat, Ravage used the Kronosphere to entrap the majority of the Decepticon forces in a rift in time. With their leader and more than half their soldiers gone, the Decepticons fell into disarray and were easily defeated by Optimus Prime and the Autobots. But all this was Ravage's intention - he knew that Unicron would soon be attacking,52 so he left the Autobots to face him by themselves. No matter how the battle went, when it was over, Ravage would release Megatron and his forces to destroy the victor. 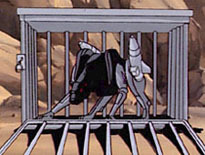 51: From Season 2's "War Dawn"
Needing a leader for the remaining Decepticon forces, Ravage infiltrated the BT-13 research facility, which was attempting to re-create the Transmutor,53 a device that can alter the composition and structure of objects by changing the quantum information of their atoms. He used the device to turn an ordinary Mazda RX-8 into a BT body54 for Shockwave. 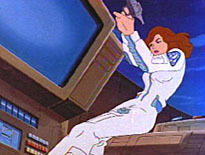 53: From GI Joe Season 1's "Worlds Without End, Pt. 1"
58: From Season 2's "The Immobilizer"
The next BT body was named "Prowl 2,"59 and intended as a backup for the Autobot tactician. 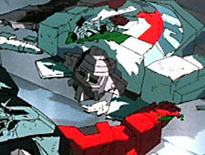 Prowl was attacked while investigating a Decepticon stronghold on Saturn, and Wheeljack activated the long-range GT system in an effort to save him. However, the unstable data link was severed, and his laser core was lost in subspace.60 The next day, Chip Chase hit upon an idea: years before, when Prowl had been severely damaged, Chip had used his own computer to remote control Prowl's body;61 since Prowl's knowledge and personality were already installed in the BT body, Chip sacrificed his life, uploading his own mind62 to bring Prowl to life. Prowl's new body can assume the patterns of various police forces from around the world at will.63 The all-blue version is a Generic Host Shell,64 able to serve as an emergency fallback for any Autobot. 61: Season 1's "Roll for It"
62: As in Season 1's "Autobot Spike"
A lightning strike operation carried out by Prowl and Overdrive finally saw Ravage captured, but it was too late: just then, Unicron approached Cybertron, devouring the planet's moons and unleashing his ground troops, killing many Cybertronians. 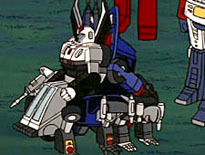 Ravage revealed that the key to defeating Unicron was the Matrix of Leadership,65 and Optimus Prime and Ultra Magnus boarded a shuttle headed for Unicron. At the same time on Earth, the Autobots initiated Operation Distant Thunder,66 an attempt to prevent Ravage from ever altering the original course of history. Just as Skids, the first Autobot to receive a Binaltech upgrade by his own choice, was about to enter the temporal vortex on Dinobot Island,67 his sensors warned him that a squad of Decepticons was swiftly approaching his position. 66: The name is a reference to Ray Bradbury's short story, "A Sound of Thunder," which features dinosaurs and dealt with the way actions in the past could change the future. 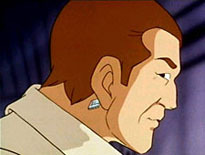 67: Season 2's "Dinobot Island"
For several years, Dr. Arkeville had secretly been constucting a Binaltech body from spare parts stolen from Decepticon repair lockers. A near perfect melding of robot technology, Earthling construction and miniaturization techniques, this is the most powerful Binaltech body ever created. If Megatron couldn't destroy the Autobots, Arkeville would build a robot that could. Years of working with a stolen scan of Optimus Prime's programing had given Arkeville an understanding of Transformer technology decades ahead of any other scientists, and he created the ultimate military leader � ruthless, efficient, calculating and above all wise. All that remained was to find a Spark capable of animating the dark commander.68 As the mad doctor initiated his subspace linkup experiment, a mysterious glowing orb appeared, engulfed the body, and was gone. Deep inside the body of Unicron, Ultra Magnus was alone. Optimus Prime had been damaged during their assault, and had to fall back, but not before passing the Matrix to his successor.69 Stripping off his outer armor70 to move about more easily, Magnus made his way to the heart of the beast. He struggled with the Matrix for a moment, but it finally opened71 and a blinding burst of light destroyed the monster Unicron from within, but the danger was not over yet. During the battle, Shockwave had disappeared, taking the key to the kronosphere with him. 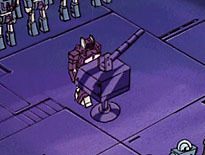 Megatron and the time-displaced Decepticons could return at any moment, so Prowl ordered a full retreat from Cybertron. With the Decepticon attack on Dinobot Island repelled, Skids and the EDC team were free to complete Operation Distant Thunder. They launched a probe into the past, warning against Ravage's attacks. If all went as planned, their world would soon be no more, as history re-wrote itself. The heroes waited nervously - if the plan had worked, their reality should have been undone in an instant.72 It seemed as if the gambit had failed, but suddenly warp holes began to appear all around the world, expanding as if to consume it. 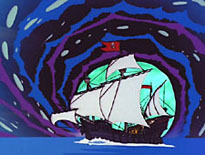 A figure appeared in the center of the island's temporal vortex, his silhouette looking like Optimus Prime. He held an orb of light in his hand, which grew and engulfed the entire planet. and thanked him for saving the world. Black Optimus assured him that the mission had not failed; the warps were the evidence of history righting itself. However, he had used the space-time energy from the time warp to reach out and save their timeline, splintering it and preserving it from being erased. Skids and the others were confused: had all the struggle to prevent their fated destruction been meaningless? Back at the EDC's Antarctic base, the Black Optimus told his story as the Autobots questioned him, though he seemed hesitant. He informed them that his spark had come from the future, sent by someone known as "the Protector." 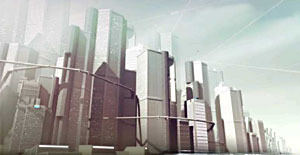 The alternate world in which the Binaltech project occured would one day spawn great beings charged with protecting and ensuring the prosperity of the multiverse - the Binaltech reality had to continue. Sunstreaker angrily questioned how the world could exist due only to the actions of someone who hadn't been born yet, but Black Optimus replied that the Protector's desire was that they survive and be strong in a tumultuous world. Optimus Prime approached the dark clone, and asked where he had come from. Black Optimus refused him, saying that he was tried of being controlled by a spark that seemed to be pure goodness. A Decepticon insignia formed on his shoulder, and a teleportation portal opened behind him. He threatened to return when his true evil potential was realized. As the spark within him was ejected, the body fell through the portal as it closed. 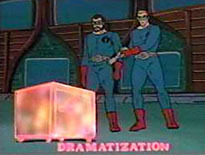 Overdrive used his dimension-jumping abilities to check on the status of the "original" timeline, and found it had been restored. He hesitantly reported that in that world, Optimus Prime was dead and that Hot Rod, not Ultra Magnus, was the next Matrix Bearer.73 The Autobots found this especially unbelievable, but Hot Rod liked the idea. Magnus told him not to get any bright ideas. Just then, Jazz reported that a fleet of mobile fortresses74 had suddenly appeared on Cybertron - it seemed the Decepticons had been released from their temporal prison. They seemed unorganized, but Jazz knew that was only temporary. No one was sure if the new reality or the original world was better. Considering the Protector's spark, held in a preserving crystal,75 Optimus Prime reminded everyone that no matter what the future was to be, it would never come to pass if they let the world be destroyed today. Putting this unknown future out of their minds, they split up and headed into battle. Back in his secret lab, Dr. Akeville was surprised to see his Binaltech body fall through a telportation portal. Not one to dwell on the past, he hooked it back up to the machines and initiated another subspace translink experiment. He tapped into an extra-spatial power source of unheard of proportions76 and found a life force that is ancient, evil and filled with unimaginable greed.77 Linking to this power should be easy, and then and all who stand against Nemesis Prime will be laid waste. Though their timeline had been preserved, the Autobots were not out of danger. Nemesis Prime was in hiding on Earth, and Megatron was the violent dictator of Cybertron - it was a difficult and turbulent time. The Autobots found hope in the story of their great future, the story of the Protector, but Optimus was concerned that they were so preoccupied with a future that may never come to pass. He called Prowl and the other tacticians78 together and told them he'd found a way to fight back, using Ravage's memories of the future. Before being captured, Ravage had erased all the important files about the future. Though history had changed, his memory chips79 still had value, and the Autobot scientists had been attempting to salvage the data. 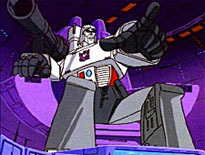 79: From Season 1's "Transport to Oblivion"
As Megatron prepared his plans for conquest, Mirage concealed himself in a Decepticon supply ship. Using his improved Electro Disruptor80, 81, he disembarked from the cargo hold. With no time to appreciate that he was at last back on his home planet, he immediately headed for the designated coordiantes - "Omega Zero One" - the resting spot of the trump card that could ensure Autobot victory and possibly end all wars. Half a lightyear away in space was a cloaked ship carrying Tracks, four GT System82 copies of Smokescreen and a human crew. Their task was to provide a diversion if Mirage's cover was blown. Waiting for Mirage at the coordinates was a mysterious mechanism, hidden deep beneath Cybertron since ancient times. 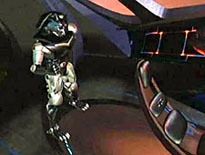 Ravage's information revealed that when a glowing lever inside the chamber was pulled, all Transformers across the galaxy would cease to function83. What the data could not reveal, however, was why this formidable device existed. 83: The device, created by the Quintessons, appeared in "Five Faces of Darkness, Part 5"
The human crew of the Autobots' ship asked if they were really willing to shut themselves down along with the Decepticons. Smokescreen #784 replied that stopping the war was more important, and Smokescren #284 suggested perhaps the humans could reactivate them afterwards. Just as Megatron began his assault on the EDC Mars base, a dark shadow fell upon the battleground. Marissa Faireborn saw Nemesis Prime blocking Megatron's path, demanding to know why the Decepticon leader was intruding in his territory. 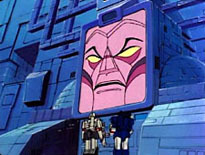 Megatron was furious that a mere Earth-made machine with Optimus Prime's face85 dared to wear the Decepticon symbol. On Cybertron, Mirage reached the coordinates. He avoided a trap set by Ravage and found himself in front of the stasis machine. It seemed Ravage had left it intact as a last resort. Mirage put his hand on the lever, which was making a strange noise, and stared at the strange light. Musing that space would be quieter than ever, he pulled the lever downward. Immediately, the machine's invisible force spread throughout the universe. On Cybertron and in every region of space, Transformers stopped functioning all at once. On Mars, Megatron was frozen86, ready for battle. On the cloaked ship, the humans monitored the machine's effect, but noticed something strange: Tracks and the others were still active. Mirage called in to report that the mission had been a success, that all the Decepticons' ground forces were stopped, but he was confused: the understanding was that all the Transformers would be shut down. Was the effect exaggerated? Assessing the situation, Prowl recognized the anomoly: only the Transformers with Binaltech bodies were still functional. 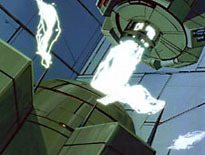 The GT System, storing the Transformers' laser core in sub-space, filtered the machine's effect. Since the Bodyshop Project had begun, most of the Autobots had been equiped with translink nodes, minimizing their casualties. Expecting to suffer the same fate as their foes, the Autobots' last resort became an unforseen victory in a seemingly no-win battle. Nemesis Prime mused on the irony of being saved by his Earth-made body as he toppled Megatron's frozen form. He called to the sole survivor, Shockwave, telling him to escape with as many Decepticon bodies as possible before the humans retrieved them. Shockwave hesitated only briefly, but saw the logic of the plan87 and quickly summoned ships and worker drones. Watching the EDC abandon their Mars base, Nemesis Prime realized that if the Binaltechs were fated to bring about great power, he wanted to see it happen - even if that meant allowing human civilization to continue. After all, what does it matter to give a few more years to the planet before beginning its utter destruction? He entered the Decepticon ship, and took his new position on Megatron's former throne. Soon enough, the whole galaxy would be his. Returning one day to Autobot City, Grimlock, Hound and Bluestreak were startled by screams and crashes coming from a neighborhood they were driving by. A large creature, nearly the size of an elephant, was rampaging, tearing up trees and tossing cars through the air. It was a phonon hologram,88 apparently unleashed by an unprepared amatuer scientist. When the Binaltech Project ended,89 any non-sensitive information was released to the public, leading to no end of similar incidents with "generalized" versions of the Binaltech technology.90 The Autobots leapt into action, destroying the hologram projector. Leaving before they were asked to help clean up the mess, the Autobots continued on their way. As they drove, Bluestreak commented how nice the Binaltech bodies were - a statement which confused Grimlock, since he didn't realize this wasn't the Bluestreak he knew, but instead an ambassador from another dimension91 where the Binaltech project ended before the Unicron War.92 He'd come to the Alternity universe with important news for Ultra Magnus: Prowl was alive. When Prowl's spark was lost in subspace,93 it was not destroyed. It somehow found its way to the "proper" timeline, where the Autobots discovered and took care of it. Switching to the blue "Chase Mode," Prowl accessed Chip's consciousness94 for his assessment of the situation. Chip agreed that since the two worlds were so similar, it made sense that their versions of subspace may be connected.95 Bluestreak reported that two days prior, a mysterious energy from this universe had crossed to his, and Prowl's spark was in danger of overloading. If something wasn't done soon, Prowl truly would be lost forever. 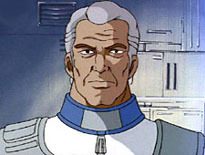 Meister led a raid on a research facility assumed to be the headquarters of the Concurrence. 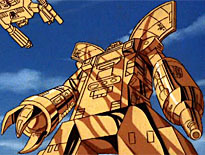 Tracking the energy wave led to an underground hangar, where the Autobots were confronted by a glittering golden giant. The humans at the foot of the giant fled, leaving a familiar robot behind: Swindle, the Decepticon munitions expert!96 Wheeljack recognized that the giant was a fluid-bodied robot made entirely of synthetic electrum,97 powered by a link to Prowl's spark. It was an attempt to create a super lifeform98 using the released Binaltech science, but the damage to the spark was nearing its limit. 97: From Season 2's "The Golden Lagoon"
98: Finding "The Transformers" to be too dull a title, Japan called the property "Fight! Super Robot Life Form Transformer!" Howling, the giant firecly attacked the Autobots. Even though the electrum was synthetic, it still shielded the creature, blocking all the attacks. One swing of its arm crushed the wall of the hangar. Jazz had also been equipped with synthetic electrum - the current hot research subject - and wanted to see whose was better. Injecting energy into his "Argent armor,"99 he charged the giant. The entire underground complex shook with the impact of the massive powers. The giant stumbled and fell to its knees. 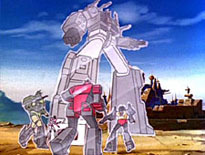 Grimlock tossed his sword to Jazz, who quickly covered it with electrum and stabbed the giant in the back, cutting out the translink node and severing the connection. However, Overdrive reported from the "correct" world that Prowl's spark was too weak to make the return journey to his home dimension, and the Binaltech body would have to be sent to him. Chip Chase's mind was put back in his own body, and he watched on a monitor from his hospital bed as the now-inert Prowl's body was carried off, so he could be fully recovered. Swindle admitted that it was the humans who created the monster, with only minimal advice from him - Dr. Arkeville was the one who had found the spark, purely by chance.100 Though seemingly staying quiet and laying low, the Decepticons were again working with the secret societies and pushing Binaltech research into dangerous territory - there was no time to lose! Jazz just shrugged his shoulders and wondered who he should give tomorrow's concert tickets to. involving super-dimension control.101 The other was to give the messenger from the future - known only as "the Protector"102 - a Binaltech frame so that he could function as a robot lifeform.102 Arcee, who had switched to an experimental Binaltech body, touched the Protector's container and knew soon she would be able to speak with him. The Protector's spark blinked energetically and began to shiver. Arcee worried about this slightly as she hurried to her experiment lab. Arcee's function in the Timaeus experiment was to wear a device near her brain that would enhance her consciousness while she drove through a circular track with an acceleration field running through it. She did not understand the point of this strange experiment, but Perceptor assured her it was a revolutionary new way of generating a super-dimensional space.103 As Arcee maintained her speed of 715 km/h,104 she focused her thoughts and consciousness on the center of the ring that she was driving through. At the end of her gaze, there was suddenly a bright flash of light and a shockwave. A black mass105 floated in mid-air. Just then, emergency sirens rang throughout the city. An alarm was raised in Lab 5, where the Protector's experiment was going on: sabotage was taking place! The Autosoldier106 that was to contain the Protector had begun destroying everything, with the help of the other Autosoldiers. Shockwave had somehow gained control of the lifeless shells using an unknown link technology, hoping to capture the Protector. Arcee wanted to head to the rescue, but proper proceedures for slowing down and exiting the circuit would take 10 minutes - too much time to waste. Steeling herself as she made her decision, she jumped the track and plowed into the inertial dampers surrounding the course. Her pure white chassis was crushed by the undissipated kinetic energy and she lost consciousness. When she woke up, Arcee was in pure darkness. Before her was a gently glowing silhouette. She couldn't see any details other than the general outline of the body, but for some reason, she knew who it was.107 She asked if it was Protector, and the silhouette gently nodded. She told him she was coming to save him, but he shook his head and told her the Timaeus Project was the key to the birth of Aternity, and she should protect the results and the researchers. It was then that Arcee awoke - at the instant of impact, her spark had been automatically transferred to the spare S-2000 unit,108 and she had rebooted in a new body. It had taken only 38 seconds. But rather than head to Lab 5, she elegantly shot down several Autosoldiers that had burst into the Timaeus Project, and saved the humans from the wreckage. With an air of despair, one of the researchers reported that the enemy had disappeared with the spark, but Arcee reminded him that the good news was he and the metallically shining object109 were safe, and that's how valuable it was. 107: Current fan speculation is that the Protector is a future version of Rodimus, which is why it reacts so favorably to Arcee; the original toy's tech specs listed his function as "protector"
Somewhere in Australia, Nemesis Prime activated a machine that had been installed throughout the city. It was a device that separated human minds from their bodies and transferred them to a crystalline storage unit. Through this method, he hoped to create an artificial Matrix. If the experiment was successful, he would use the Autobots next. He glared at the Protector's spark container. However, right before entering the separation sequence, the device suddenly stopped functioning. As the Decepticons noticed this, they realized that they were already surrounded by the Autobot army led by Ultra Magnus. The Omega Unit is a life form created by fusing Wheeljack's life force with the power grid and network of Earth. In a sense, it is Earth itself. With this great consciousness, he was able to sense all of the destructive Binaltech research happening on Earth and had revealed it all. All around the world, EDC teams led by Prowl were taking care of each. Amidst the battle, Optimus challenged Nemesis Prime to a final showdown with. They had the same body, but Nemesis' current strength was much greater than it was before. He punched Optimus, sending him tumbling into a nearby riverbank. Just then, the Protector, who had been rescued by Arcee,112 descended upon Optimus, sinking into his chest and fusing with his spark. In his mind, Optimus Prime saw the Protector's true form. He felt as though he had experienced this before - that this was the second time the Protector had saved his life this way.113 The power of the fused sparks enveloped Prime, and he stood up and declared the seeds of the future were already in the Autobots' hands.114 Optimus absorbed Nemesis Prime's energy barrage, and hurled it back at his enemy. Nemesis Prime was swallowed by this immense power and exploded into scattered shards. The Autobots cheered, and Starscream and the other Decepticons gathered their fallen comrades' corpses. 113: And so the truth is revealed: the Protector is Optimus Primal, who similarly merged with Optimus' spark in Beast Wars Season 3's "Optimal Situation"
If the final battle on the moon seems rushed, that's because it is. For about a year, the story ended after Skids started screwing with the portal on Dinobot Island - around footnote 67 or so. Skids was the last figure released under the Binaltech banner, as all the rest were in the Kiss Players line. However, at Wonder Festival 2007 (a Japanese toy convention held in late February), Black Convoy was released as an exclusive, and as an official part of the Binaltech line, complete with a new installment of the story. However, since this was most likely the last time Binaltech would be seen, the story had to work doubletime to reach a sound finale. That's why so much of the action seems to take place off-screen. In September 2007, online retailer e-Hobby released an exclusive Binaltech version of Rijie, complete with a new installment of the story - this one with a much more definite conclusion. Everything after footnote 77 comes from Rijie's chapter. Rijie was also the first Binaltech figure made without any die-cast metal: because Takara had never ordered the necessary molds for a metal Ford GT body, the figure had to come from the molds made for Mirage's plastic body. To make this change easier to accept, e-Hobby used translucent plastic to create an "invisible" mode. 2008 was a banner year, with new releases of Streak and Meister in new colors, plus the introduction of Arcee and a non-KissPlay Convoy. There are no plans to release these figures in the US (or elsewhere), making Arcee the only Alternator-style figure not available outside Japan. As you can tell from all those footnotes up above, this series is tied pretty heavily into the old continuity, and despite the fact that the story is written one chapter at a time, with no real end in mind, it's still pretty exciting. We've had catastrophic wars, rampaging Dinobots, time travel and brain swapping. This would make a hell of a cartoon (or movie or comicbook) if only the licensing rights weren't such a nightmare. At least if Hasbro was releasing the story along with the figures, fans would get to read it firsthand, instead of waiting for translations of the Binaltech booklets.